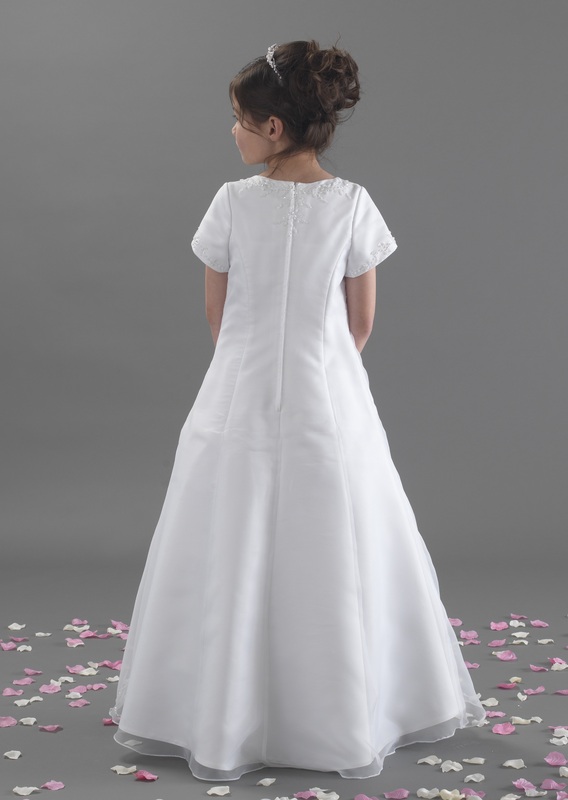 Full length aline style dress with round neck, organza overlay and crystal and pearl detail, pleated style gathered waist and apron style skirt. Crystal and pearl detail on back across neckline. 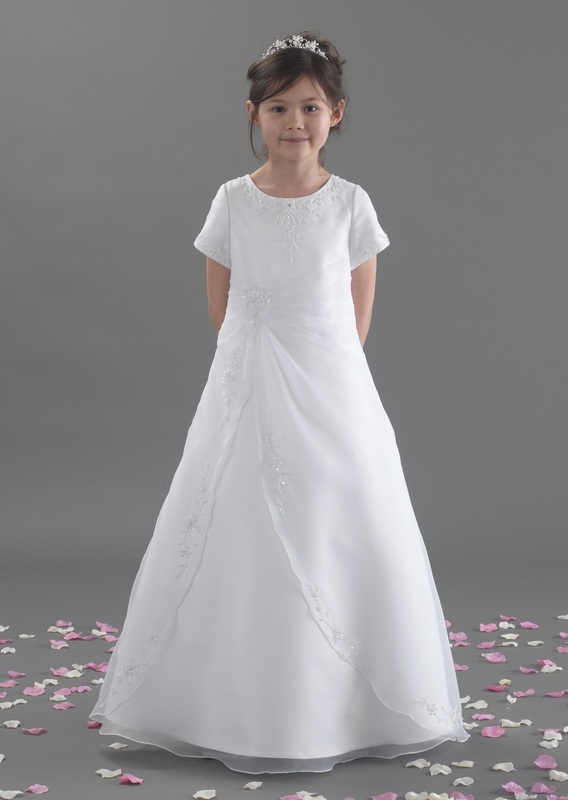 Full length aline style dress with organza overlay and crystal and pearl detail scattered delicately over front of dress.